Unavailable, see Confucius Wisdom or Ancient Monastery for improved mental ability and concentration. 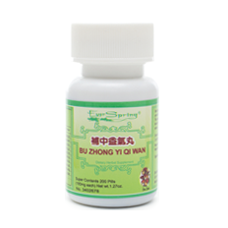 Bu Nao Wan also helps reduce memory loss, headaches and dizziness, insomnia, heart palpitations, and tinnitis. Adult Serving 20 tea-pills, 3 times daily. jujube seeds, dong quai root, English walnut (nut), lycium (fruit), oriental arborvitae (seed), schisandra (fruit), sharp-leaf galangal (fruit), polygala (root), grass-leaf sweetflag (rhizome), bamboo (dried secretion), corn starch, carmine. Size 300 tea-pills per bottle.